On Sunday 29th October, Dunoon High Kirk celebrated its Bicentennial. The congregations of five local churches gathered for a special service to mark the occasion, led by the Minister, Rev Aileen McFie. The Moderator of the General Assembly, Rt Rev Dr Derek Browning, preached at the service, on the two great commandments and our calling for each of us to dedicate our individual gifts and personalities to fulfill these commandments. 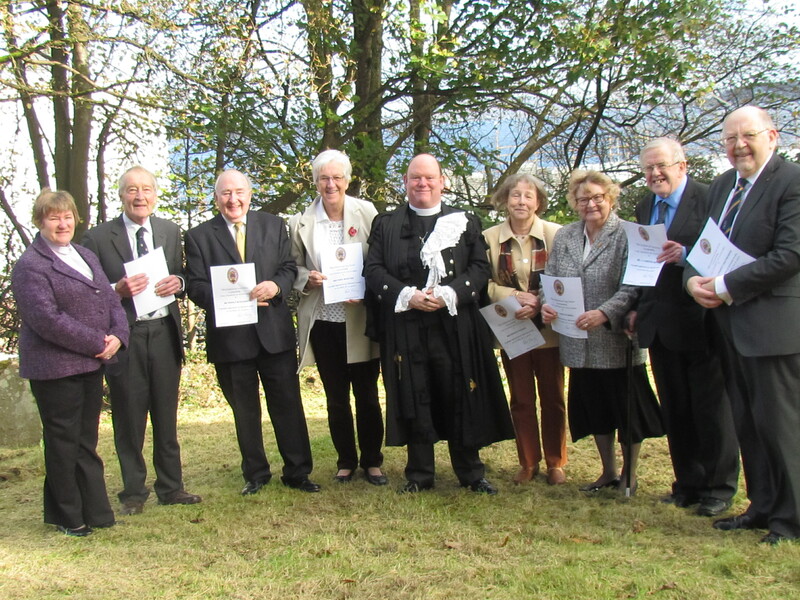 Dr Browning also presented long service certificates to 7 members of the combined congregations, seen with him and Rev Aileen McFie in the photograph.